Michnus and Elsebie Olivier, the founders of All Terrain Gear. 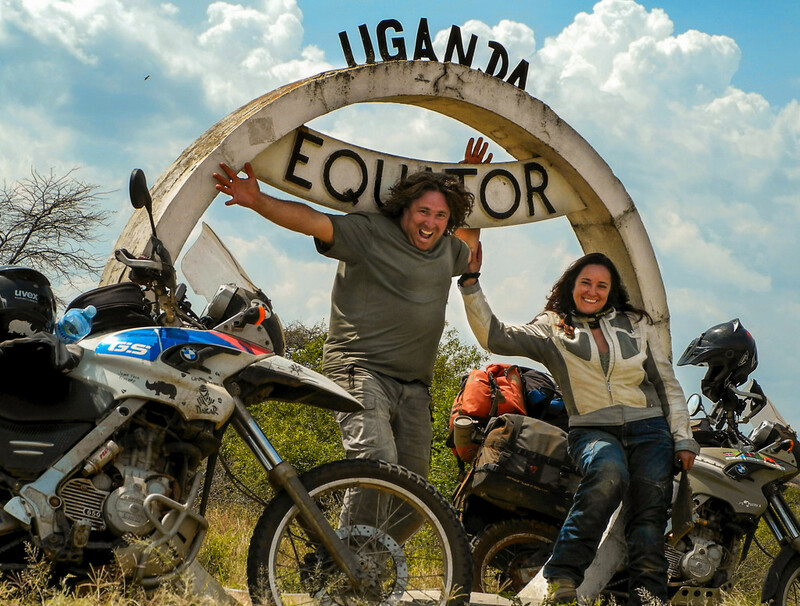 They share a passion for worldwide motorcycle travel, amateur photography, beer drinking and making friends. With a combined age of 90 plus they decided that it was time to travel and see the world on the basis that their odyssey is not to set records, nor to pass quickly through to get the passport stamp. But rather to make their travels a way of life with no expiry date. They travel slowly and continuously because they are curious about the world, have a craving for seeing new and distant places, love to meet new and interesting people and experience the various cultures that challenge their own beliefs and views. The Odyssey began in December 2010 and ever since, they come home to East London, South Africa from time to time only to save some money and plan the next leg of their travels. From the experience of living on their motorbikes for months at a time they design, source and manufacture unique gear for their travels. Their friends and family were truly amazed by what they had done, that they started carrying a bit of stock to sell to them. They didn’t complain, they were making travel and beer drinking money. It wasn’t long before they had a name, All Terrain Gear (ATG), and were in the full swing of running a new business. This was great news for the brand but where did this leave them and their travelling? They could not successfully do both and weighed up the options of a partnership or simply pulling the plug. But ATG had gained so much momentum in the 3 years of operation that they felt that if they could possibly find someone stupid enough to pay money for the business and could convince him that they were good candidates to “consult” and help “ design and product test.” Maybe if they fed this candidate enough beer he would fall for their plan. So by March 2014 they had found a candidate, Jonathan Roberts, a young, enthusiastic, stupid someone. Initiation involved bringing him to the Nampo Agricultural show to man the ATG stand and with his wedding to Jessica just around the corner, they suggested he leave the business operations with them in the Eastern Cape until he had “tied the knot” and planned the business move to Ballito. Jonathan decided to move to East London to live with the Olivier’s for 6 weeks to learn the ropes and make the necessary move arrangements. Out of sheer coincidence his honeymoon had been planned for the Eastern Cape and so he arrived in his 1 tonner flatbed passion wagon (much to his new wife’s dismay) to collect the business and relocate, oh and yes but first have his honeymoon. Since then ATG has been successfully operating from a warehouse in Ballito. Jonathan got his honours in Economics and after a bit of travelling decided South Africa was to be his home. From then he started looking at various self employed business opportunities while farming, working with supply chains and logistics and managing a wholesale warehouse but self employment got serious when the profile of ATG matched my profile on the broker’s site. It was love at first sight and as they say the rest is history. He has a passion for flying and running. 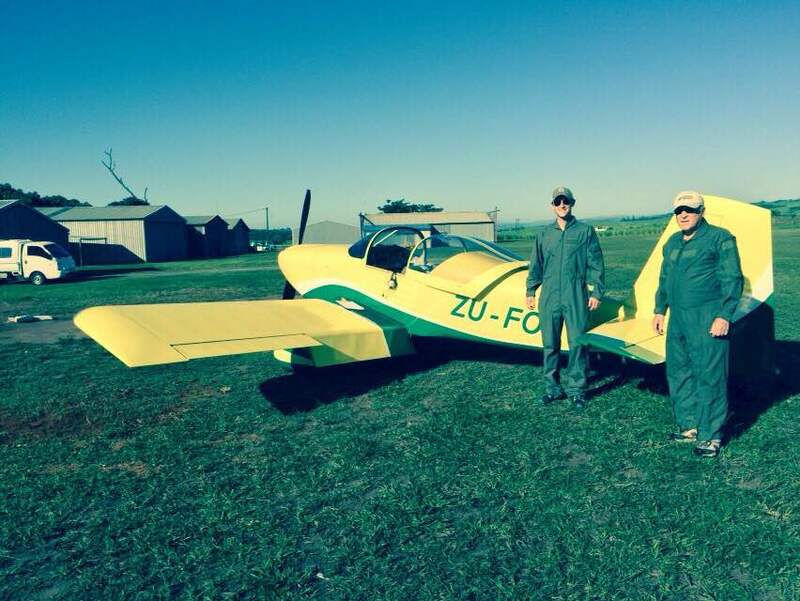 He has been involved in building 4 aircraft one of which he flies and has completed multiply Comrades marathons and trails runs and mountain bike rides. He has a new found passion for his products that he carries and those which are in the pipeline. If all goes according to plan, in the next 2 years, Jess will join him to help to grow ATG to even higher heights. He understands the values of ATG and has a strong vision of where it needs to go. In short that’s the people who are involved. All Terrain Gear strives to be a market leader in the products that it sells. Product satisfaction and guarantee is of utmost importance to the success of the business and the brand. The customers are important to us and their comments and feedback is considered seriously in the improvement of the range. This process has helped the products be what they are today. As a business that started from a need for some lekker gear it has become a well known growing brand in multiple industries. However it’s always important to remember where the business started from, having fun and designing gear while doing this. The success of the business depends on this. So are we still having fun! Damn right we are! All Terrain Gear, (ATG) is a South African business and brand which designs, sources and manufactures unique outdoor gear and equipment. The gear was originally designed to suit the overland motorbike rider, but as the business and its products evolve many other industries are using the products. The products are lightweight and compact and need to be able to survive the harsh Southern African environment. In addition they must be usable and practical and still look good. All the bags are weatherproof and made from the most advanced materials and manufacturing processes. Materials such as Thermoplastic Polyurethane (TPU), Ripstop and PVC are used and the bags are vibration welded to eliminate sewing and seams. The bags are waterproof and dustproof to protect your valuables. The camping stoves and accessories are compact, lightweight and durable. They are easy to clean and service and guarantees the user the ability to cook and stay warm in the most harsh and extreme environments. The popular stoves are the multi-fuel and gas stoves. The camp stretcher is an ingenious design which gives the user a comfortable night sleep without having to inflate the mattress as well as sleeps off the direct ground. It packs to be compact and lightweight. The components are made from aircraft grade aluminium, SABS approved ripstop material, lightweight but durable nylon plastic components. Handpresso Espresso Machines, Motosolution Fogtech and RainPro and Alpine Hearing Protection all offer products that complement the ATG range and outdoor extreme lifestyle, and would not be possible to develop or manufacture as an ATG branded product. These ranges were introduced as partner products as they improved the adventurer’s day to day living. Born from a love and passion for travel and all things outdoors. For more about the company click here.